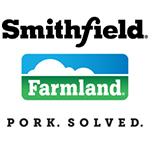 Smithfield Foods | Favorite Foods, Inc.
We are passionate about producing good food the right way. Our business depends on the humane treatment of animals, stewardship of the environment, producing safe and high-quality food, the vitality of local communities, and creating a fair, ethical, and rewarding work environment for our people. We will further transform Smithfield Foods into a world-class consumer packaged goods and protein company—one that consumers feel good about buying from—and a partner of choice for our customers.